A pair of sandhill cranes return to roost in evening light that belies the chilly December air. Bosque is important winter refuge for sandhill cranes of the Rocky Mountain Population and many waterfowl species. 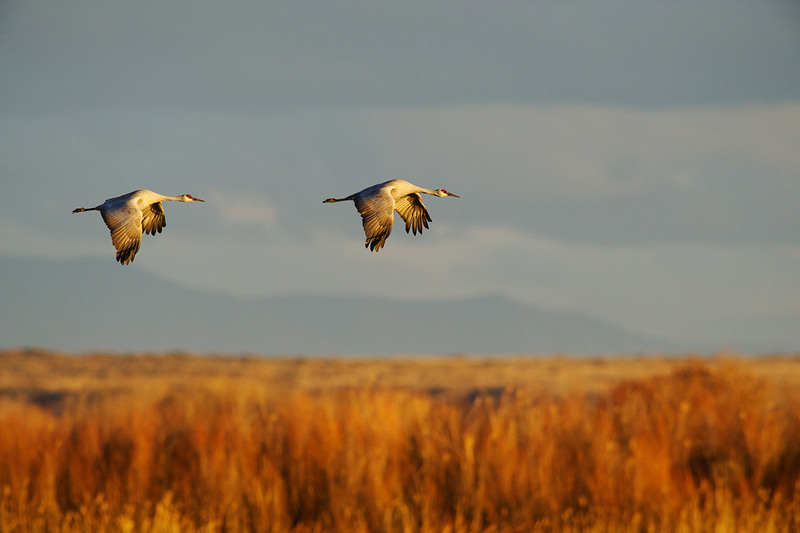 These cranes will migrate north to Greater Yellowstone in spring, making a few stops in Colorado to rest and refuel. They'll return with juveniles in fall, just like the last few million years.